The “ghosts” of 1328 Smith Ridge Road began appearing soon after Jennifer Holme and David Markatos bought the historic home 16 years ago. A ca. 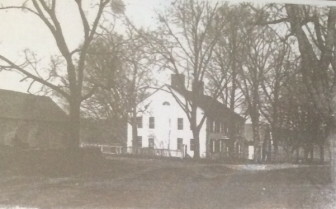 1742-built, wood shingle-clad house whose rich history stretches back six decades before New Canaan’s incorporation, the prominent maroon-colored structure sits close to the road—as is common for antiques—and is one of the last homes that northbound motorists pass before crossing into New York State. Holme, who works in finance, and Markatos, a lawyer, are northern Westchester natives and the house was the first they purchased together as a married couple. It is, and Holme and Markatos since taking over have re-pointed the foundations of the main house, redone the roof and chimneys, remodeled the kitchen and master bedroom and replaced the deck. 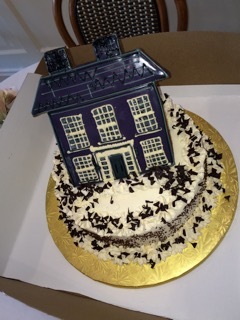 This month, the home reached an important milestone: It’s been exactly 100 years since its original owners, the storied Comstock family, auctioned off the property, according to a notice that Holme and Markatos unearthed in the research they began undertaking soon after moving in. They include David Burnham, an award-winning and pioneering investigative and data journalist widely known for breaking the NYPD Officer Frank Serpico whistleblower story with a front-page article for the New York Times on April 25, 1970—more on the remarkable Burnhams below. 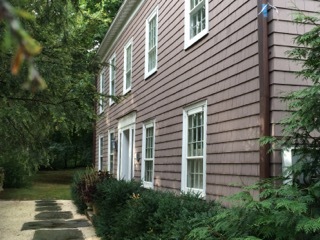 Holme and Markatos, who moved up here from Manhattan and had looked at both Darien and Stamford before settling on New Canaan, say they do not consider themselves “historic preservationists,” strictly speaking—rather, they believe in an “invisible hand” approach that sees updates (such as central air) come into the house without detracting from its significant physical or cultural heritage. 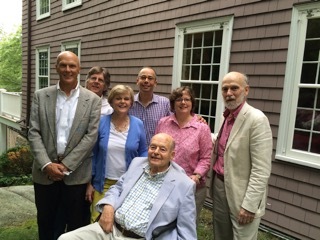 In some ways, the gathering of former residents this month marked the culmination of the couple’s research and connection with visitors as well as their careful stewardship and restorative work. 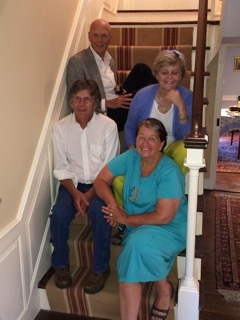 Markatos said he was unaware upon moving to New Canaan of “the richness of the community,” but that as time passed and he learned more about the Comstocks and agricultural history of the area, the home at 1328 Smith Ridge Road took on more meaning. 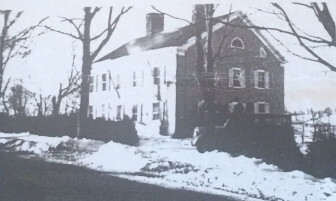 An article in the “Landmarks of New Canaan” book, published in 1951 by the New Canaan Historical Society, identifies it as the “Comstock-Burnham House.” In December 1772, the Rev. William Drummond spent the first night in New Canaan at the house and there began the famous “Visitation” census. 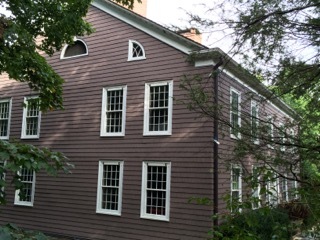 According to the article, by John G. Pennypacker, the family of Abijah Comstock then was living there (including a son, Samuel, who would go on to operate a distillery on Smith Ridge, we learn from Mary Louise King in her “Portrait of New Canaan”) with his four children and two slaves. Abijah’s father Moses had been an early settler of Silvermine and when his son turned 23, gave him 30 acres up the valley, Pennypacker writes. Abijah Comstock then built the house which, “with subsequent additions and alterations, became the Burnham house,” Pennypacker writes. Those alterations include the electricity that Dorothy “Docie” Moore Burham (David’s mother) installed in the 1940s, according to Holme. In getting that work done, she came across a box which yielded many of the historical documents that ended up at the Historical Society, and copies of which were set into three large storyboards that Holme (once a member of the New Canaan Preservation Alliance) created for the Sept. 12 gathering. Her husband, Addison C. Burnham Jr., had been born and raised in Massachusetts and would graduate in 1919 from Harvard College, according to a biography in “New England Aviators 1914-1918” (which also was featured on a storyboard). 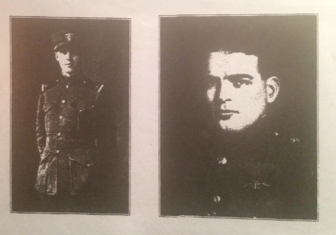 Burnham Jr. enlisted in 1917, attended the Naval Aviation Ground School at M.I.T., and was ordered to France in May 1918. He would serve through the following February, earning the Navy Cross prior to his release from active service. Addison C. Burnham Jr. was awarded the Navy Cross in 1920 for his heroics in World War I. He later would move his family into the house at 1328 Smith Ridge Road in New Canaan, and one of his sons is David Burnham, an award-winning journalist. 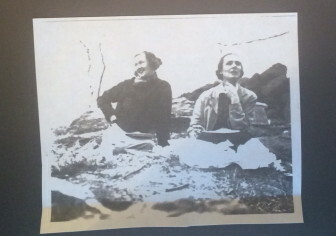 Two Burnham children, brothers David and Daniel, traveled from as far as Maine to attend the gathering, as well as four members of the Smith family, who purchased and moved in after the Burnhams, in 1955. They came to the get-together from as far as North Carolina, Markatos said. 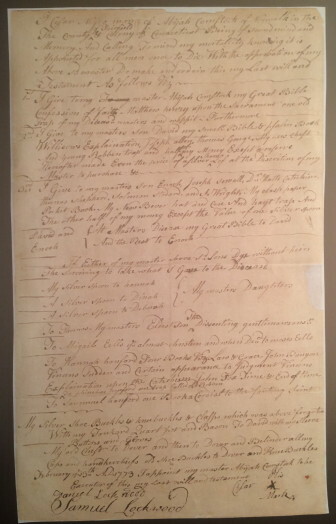 Among the documents that Holme and Markatos have discovered in their research—including with assistance from David Burnham, who they said is also transferring a rich oral history on the house—are a 1721 bill of sale for a 12-year-old slave, that same slave’s will 52 years later (the Comstock family is said to have owned the last slave of Connecticut, Onesimus Comstock, whose gravestone can be found in a small burial yard off of Laurel Road), a document marking the emancipation of a different slave, a dowry for one of Abijah’s daughters (who would marry one of Norwalk’s two representatives in the legislature), family trees, census records and even an inventory of cows (“He [Abijah] was always counting his cows,” Holme said). The Comstock family in this area goes back at least as far as the 1660s in Norwalk, historians say, and they would occupy the house at 1328 Smith Ridge Road continuously from the time of its construction in the 1740s through 1915. Abijah’s son Samuel took over the house and farm on his death in 1807, and when that Samuel died, his youngest son—also a Samuel—was helping his mother run the farm. He did well, according to Pennypacker. “By 1837, Samuel 2nd was shipping more hay to New York than any farmer in town,” the author writes in the “Landmarks” book. In this era—a high time of agriculture in New Canaan—Smith Ridge operated in some ways as its own self-contained village, with a store, post office, cobbler’s shop and blacksmith, among other sites, Pennypacker writes. Yet within 10 years of the close of the American Civil War—by then Samuel II’s son, Samuel III, had taken over the farm—agriculture was on the decline. 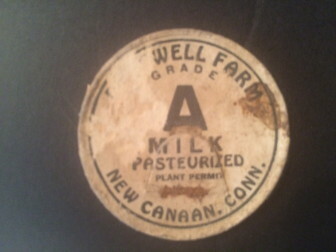 Deepwell Farm milk bottle cap, unearthed in the historic home at 1328 Smith Ridge Road. The home, once sold, would have only “casual tenants,” Pennypacker writes, until the Burnhams purchased it in 1936. Holme and Markatos are the third owners since then. They say the timing of the gathering was right for them because they feel comfortable with the work they’ve done bringing former residents back into the home. And though some features of the original house may have been stripped following its sale—perhaps including stonework, doors and hinges—unique touches such as door frames and mantles remain, as does a sense of remoteness on the 2-acre property that recalls the original Comstock farm. “It’s a very private setting, so we like that,” Markatos said, standing on the back deck which offers a fine vantage point, overlooking a wide yard that slopes down toward a swimming pool. “We like the old trees and old stone walls,” Holme added. Thank you for this fabulous story! It is so great to know that this treasure is in great hands and being cared for and celebrated. We had a high school Post Prom Party there. Great article. These are the articles that make The NewCanaanite the best news source in town! Thanks so much, Kristen! If you like this type of story, you will love our Downtown & Holiday Guide, launching after Thanksgiving—stay tuned. 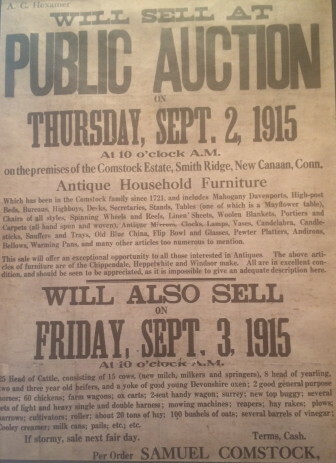 The house has a lot of New Canaan history. I can’t imagine the personal events that touched peoples lives living in the house. Susan Burnham Edwards would talk about grabbing a tray and sledding out of the second story window. What fun memories. article, a pleaser reading it.